Situations where people get lost in uninhabited terrains of the planet are amply seen in popular fiction. 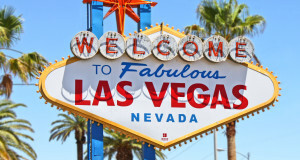 "Lord of the Flies" and "Lost" are two of the most well-known examples for such situations. Breitling Watches saw this as an opportunity and came up with a device to help such people to get in touch with the outside world. 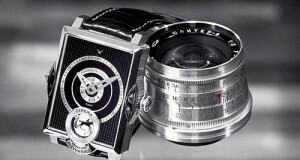 The watchmaker introduced the innovative gadget for the first time in the year 1995. It was called the Breitling Emergency watch. Since then, many pilots used this watch to get themselves out of such tricky situations. 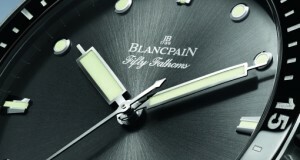 Blancpain Watches is not a stranger to diving watches. They have been creating them for the last six decades or so. In fact, the Fifty Fathoms Bathyscaphe is the 60th birthday special of the very first diving watch from Blancpain Watches. To mark this occasion, the well-known luxury watchmaker is providing male and female versions of the watch. Breitling Watches introduced the ‘Breitling for Bentley’ collection of luxury chronographs to the world for the first time in the year 2003. This blending of aesthetics from two nations, British car making concepts and Swiss watchmaking acumen, is completing its first decade after inception. 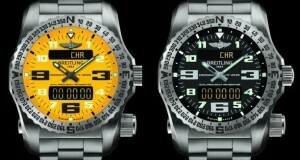 Again, Breitling Watches is able to secure a heavy weight as the ambassador for this chronograph. David Beckham, the extremely hip and stylish football legend who marveled fans through his ball handling skills on both sides of the Atlantic, is representing this extremely fancy watch. Konstantin Chaykin Watches made a mark in watchmaking through the interesting creations from their stable. The Russian watchmaker is coming out with an exquisite creation for the year 2013. He is calling it the Cinema! Obviously, it has to be a tribute to the magic of cinema as a medium of artistic expression. In fact, Konstantin Chaykin Watches is honoring Eadweard Muybridge by mentioning his name on a dedication plaque created on the watch bezel. 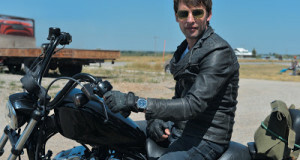 James Blunt is currently promoting his fourth studio album titled “Moon Landing”. “Bonfire Heart” is the only video from the album so far released for publicity purposes. As far as Jeanrichard Watches is concerned, this will give them good publicity among Blunt’s fans. The album is commercially available in October 2013. The endorsement of the Iconic Terrascope by James Blunt is a great opportunity for Jeanrichard Watches to spread its wings. The respected watchmaker and impressive musician are striving hard to grow ahead together towards new horizons. deLaCour is a luxury watch brand with a significant following among watch lovers. Neymar is a fan of this brand as well. So, the watchmaker decided to create a watch for their celebrity fan. 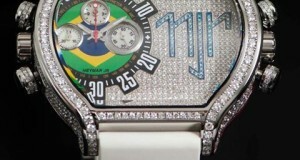 This special edition watch is christened the Neymar deLaCour Bichrono SII. As the Bichrono is the favorite watch of Neymar, deLaCour didn’t have to worry too much about selecting a watch for the up and coming football player. Casio Watches has been actively engaged in watchmaking for the last few decades. They have a repertoire of sport watches with myriad functions that are directed towards their fan base. 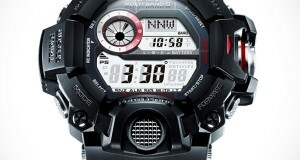 The Master of G collection is one of the most famous among the creations from Casio Watches. As far its looks are concerned, the GW9400 Rangeman is the next upgrade from their prior models like Mudman and Riseman. When it comes to its features, it incorporates many features available in the Pro Trek series. Breguet Watches is not coming out with Classique La Musicale this year for the very first time. But this model was created especially for 2013. The finely engraved dial is definitely going to grab your eyeballs. The song played when you activate the alarm function is another highlight of the watch. The complexity of the watch is of the very highest degree and can be lost on people who do not appreciate classical music. 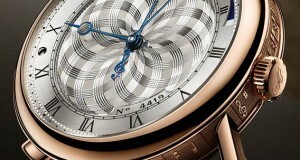 Breguet Watches engraved music notes on to the side of the case to stick to the theme of the creation. 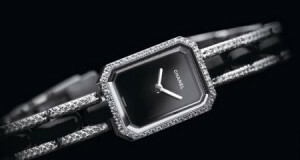 The latest version of Chanel Premiere was on display at the Baselworld 2013 show. This was definitely the best ladies watch displayed at the luxury event. In fact, many participants of the show considered it as the best option available in this year’s show. After producing various versions of the Premiere over the last quarter of a century, Chanel Watches has succeeded in creating a truly amazing ladies watch.